Mission: Malakat Outdoors is a membership based club committed to promoting camaraderie through fun, safe, and low impact outdoor activities and member empowerment through the Leave No Trace for Outdoor Ethics. We also recognize the need to both preserve and rehabilitate our natural resources, and are committed as much to the development of our society through various activities. Vision: We envision Malakat Outdoors to take the lead in organizing outdoor activities and open opportunities for like minded individuals to meet and enjoy the outdoors together, responsibly. 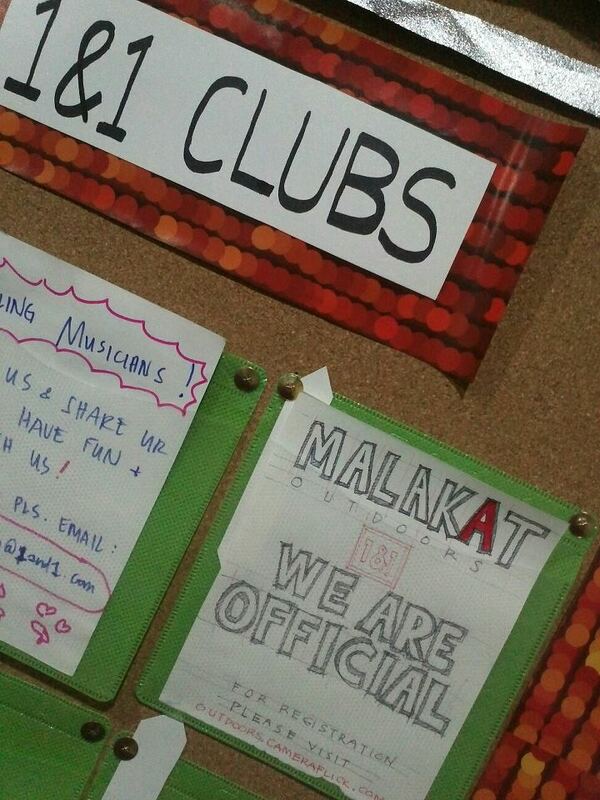 The Club was officially registered on August 16, 2012. Thank you for this email. Your club is officially considered as an official 1&1 club. We will inform you regarding the next meeting schedule and possible additional requirements. For the meantime, you may post adverts or announcements in the 1&1 Club bulletin board located on the lounge area, 16th floor. sign up namu para mu daghan ta..